I notice sometimes that Aussie tend to put crushed corn flakes into cookies and brownies to give it a crunch. I experienced once the Afghan cookie at Toutière Australienne, a bite of that cookie felt very different from the cookies I'm used to eat here in Montreal. 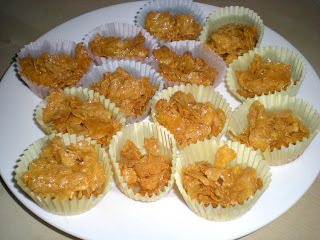 My Aussie friend made Honey Joys, a fun and sweet party snack. 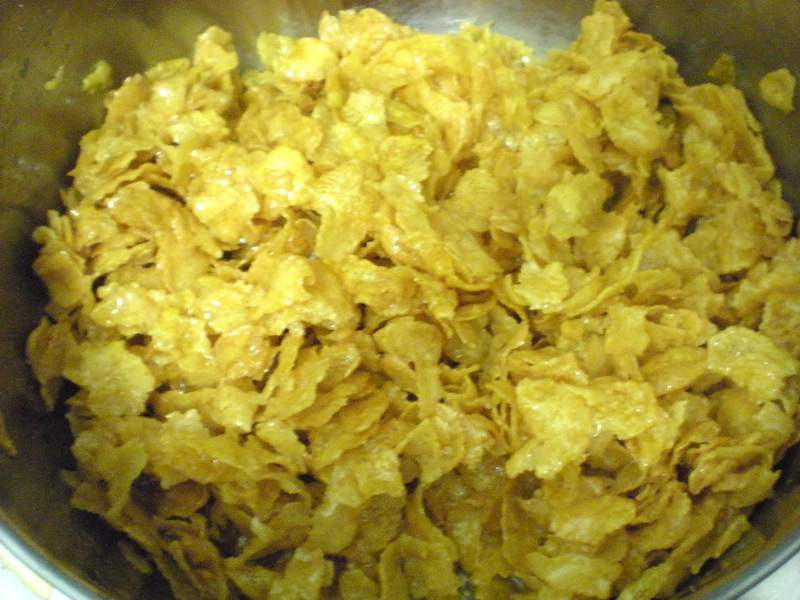 It is straightforward to make as it only requires binding the corn flakes with some sweet. This recipe is pretty much standard and can be found on Kellogg's Australia and New Zealand website. 1. Preheat oven to 300F. 2. In a saucepan, melt butter, sugar and honey until foamy over medium heat. 3. 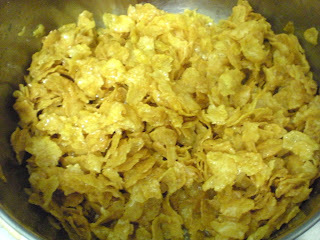 Add corn flakes and mix well. 4. Spoon into 24 cupcake patty pans. Bake for 10 mins. Cool. Yumm, sometimes its the simple recipes that hit the spot. Simple and delicious. What a great combination of simple flavors. Thanks for sharing this idea. I already made those but in another way. Yours look so easy and so special too! Yummmmmm,...many greets from sunny Brussels, Victor! first time here...u have a lovely space...just started blogging..and love to add u in my list..
Looks like fun and easy to make. Great idea.